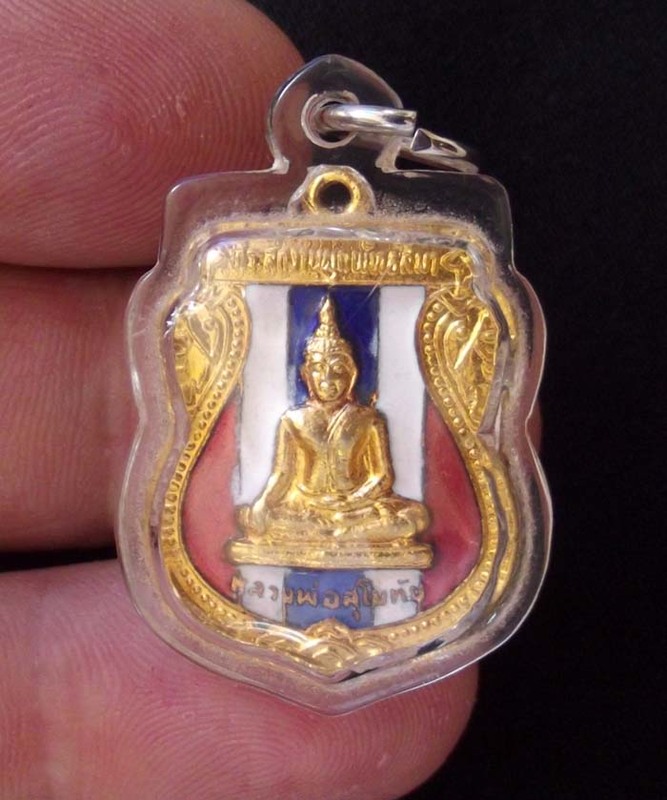 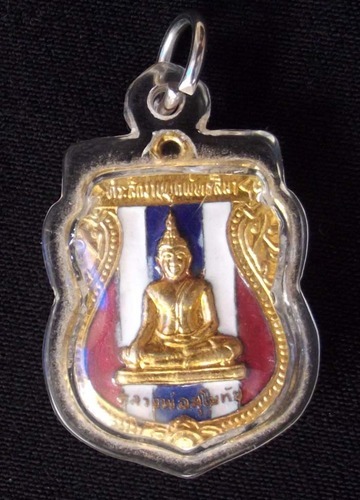 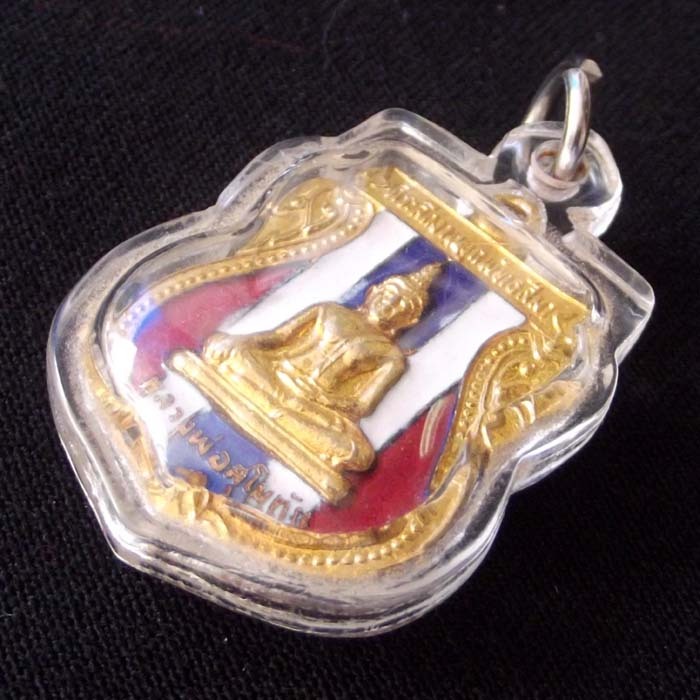 Memorial Coin made to celebrate the Completion of the ‘Pat Sima’ (Temple Walls) of Wat Ban Kluay in Khao Yoi, Petchburi. 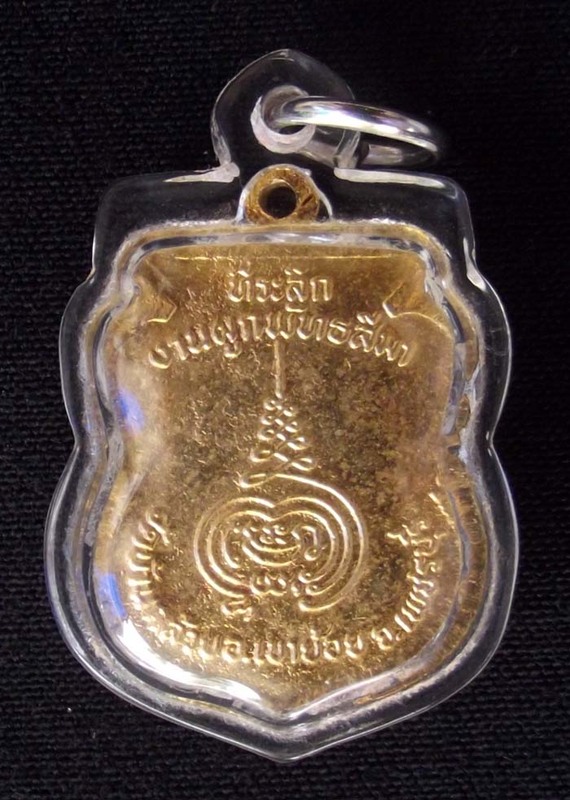 Circa 2530 BE, the Coin is made from ‘Nuea Galai Tong’ (Brass with Gold Plating), and has been treated with dipped enamels (Ya Rachawadee) in the ‘Trairongs’ color combination of the Thai Flag; Red White and Blue. 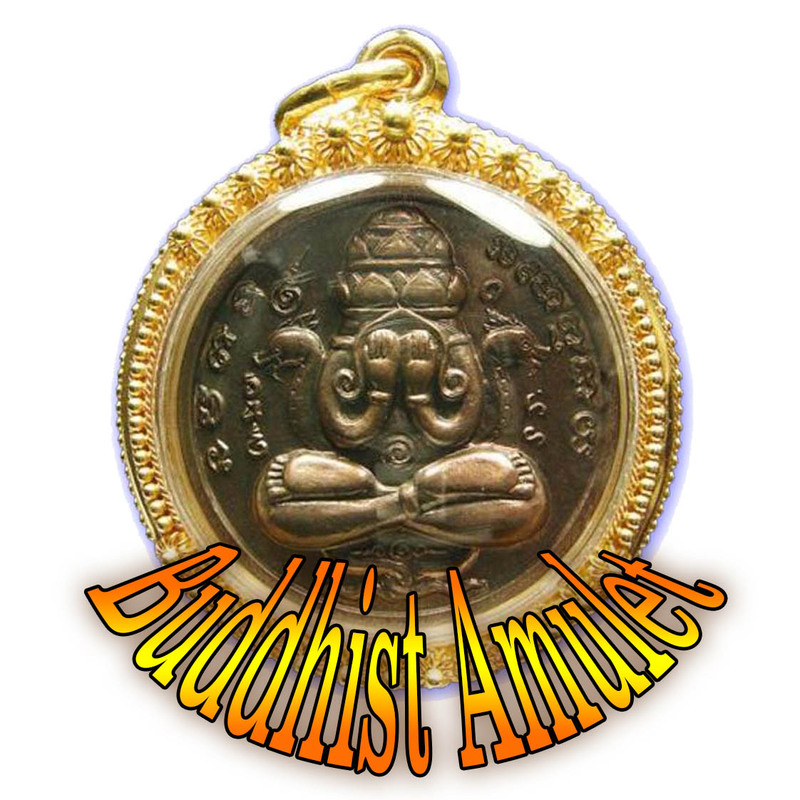 The amulet is Small to Medium size and thus fitting for both Men and Women to wear.